Authentic, original campaign button. 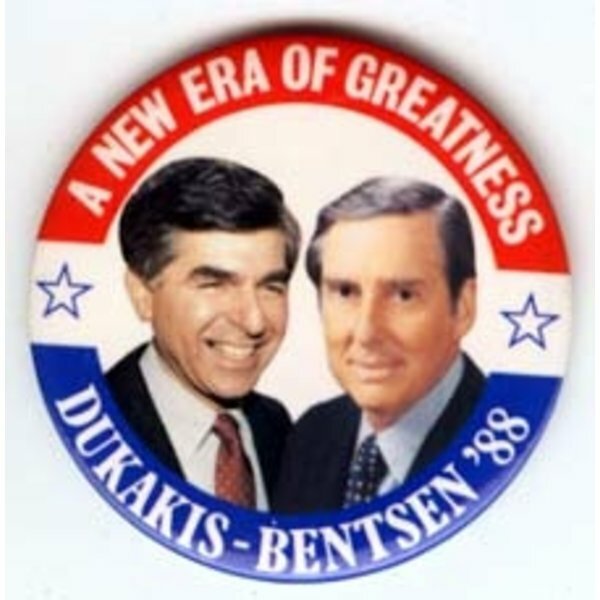 Red, white, and blue with photos background with white lettering "A New Era of Greatness Dukakis-Bentsen '88." All campaign items are in good vintage condition.